Officials from Jive Communications announced today that the international communications company has entered into a multi-faceted motorsports marketing program for the 2016 Racing Season. The announcement took place at Talladega Superspeedway during the ARCA and NASCAR weekend activities at the 2.66 mile speedway. 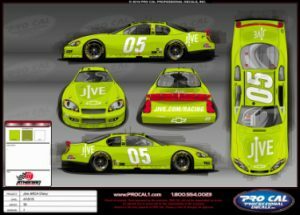 Jive will serve as primary sponsors of the Athenian Motorsports #05 Chevrolets for the NASCAR Xfinity Series events in Talladega on Saturday April 30th and on Friday night July 1st in Daytona. The twelve-race ARCA program will debut during today’s General Tire 200 at Talladega. Jive will also serve as an associate sponsor on the No. 05 Chevrolet in the NASCAR Camping World Truck Series. “I turned my very first laps in ARCA and NASCAR in 2008, and I can tell you this is the most excited I’ve been about racing,” said the 26-year-old Townley, a two-time Daytona ARCA race winner and the current ARCA points leader heading into today’s General Tire 200 at Talladega. “Jive is a company based in Utah that is entirely new to the motorsports platform. I feel like Athenian Motorsports and I are well-positioned to bring Jive some spectacular results on a regular basis in both ARCA and NASCAR. Brian Moore, VP of Sales for Jive Communications, talked about additional involvement for 2016. “In addition to the team sponsorship, we’re delighted to announce that Jive is joining ARCA as the Official Communications Sponsor for the 2016 season,” said Moore. “We will serve as the presenting sponsor for a pair of ARCA events on this year’s schedule – at Lucas Oil Raceway July 22, and the Illinois State Fair event August 21”, Moore continued. Both the Lucas Oil Raceway and Illinois State Fair events will be promoted by Track Enterprises. The ARCA Sponsorship will include per-race and year end contingency awards for the race teams, in addition to the Series sponsorship. Jive Communications, Inc. provides enterprise-grade Hosted VoIP and Unified Communications to businesses and institutions across the globe. Jive’s hosted services Jive Voice (Hosted PBX), Jive Contact Center, and Jive Video all run on Jive Cloud, a distributed platform built on open industry standards. Jive has been purpose-built to deliver the most reliable, powerful and economical hosted communication services available to the enterprise and public sector markets. Learn more at jive.com/tour. 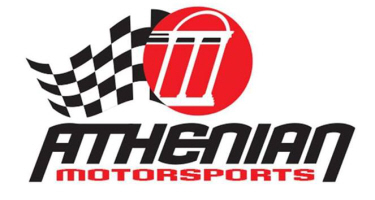 In July 2014, Athenian Motorsports began operating out of a new, state-of-the-art, 43,000 square foot facility in Concord, N.C. The team scored its first NASCAR victory at Las Vegas Motor Speedway in October 2015. In 2016, the team is fielding entries in the NASCAR Camping World Truck Series and ARCA Racing Series presented by Menards. AMS is also fielding a car in the three NASCAR Xfinity Series races in Daytona and Talladega. Track Enterprises is a racing promotion company based in Macon, Ill., which oversees Macon Speedway, Lincoln Speedway, Terre Haute Action Track, and hosts a number of ARCA, USAC, UMP, POWRi, WOOLM, and other top events throughout the Midwest. Track Enterprises info can be found online at www.trackenterprises.com or on Facebook at facebook.com/TrackEnterprises.